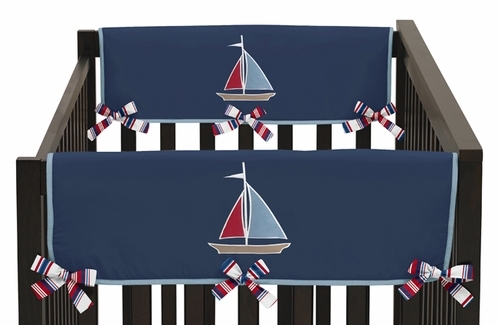 Complete your nursery decor with the Sweet Jojo Designs Crib Rail Guard Covers. Nothing is more important than the safety of your child and now you can protect them while maintaining a stylish ensemble. These rail guard covers are a great alternative for those parents that choose not to use a bumper. Also available in a long front rail guard, to safeguard all the rails of your crib.